In the online marketing world, there are plentiful business models to utilize and make money. A few of them include affiliate marketing, dropshipping, ecommerce, running membership sites and a whole lot more. But when it comes to making really big money, the avenues are a little more limited. Only because there has to be a tremendous amount of trust between you and the buyer before the buyer decides to plunk down $997 for your product. But that won’t deter you at all because when you listen to this podcast, you will realize a very powerful business model which involves selling high ticket items and how you can make it work like a true professional. Many big marketers run high ticket businesses but it’s not done overnight. It takes time to build that relationship and trust with your followers and subscribers. You need to have a powerful sales funnel in place, a heck of a gripping and enticing sales copy, a great marketing campaign in place and the ability to communicate well with your audience. 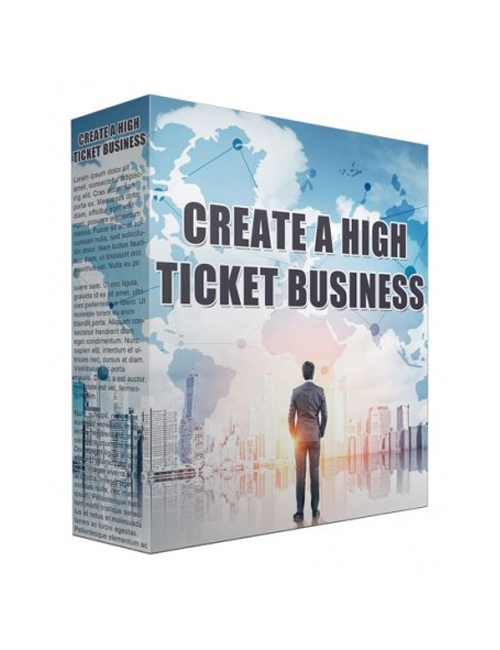 This podcast will definitely be one of the best downloads you’ll come across when you see how the high ticket business avenue is implemented. If you’re ready to go from making money to making 5 to 6 figures, then you need this audio podcast right now. Move forward and make it happen.